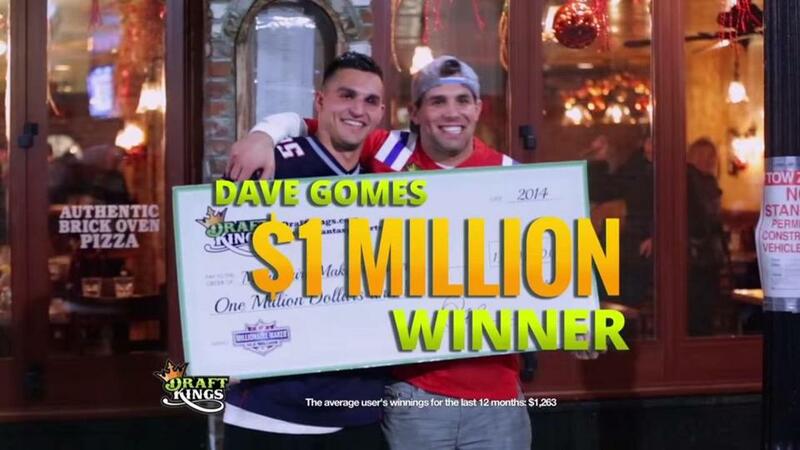 DraftKings’ commercials include offers of doubling the money that a user deposits. Football fans tuning in to early-season NFL action probably can’t help but notice a marketing audible: Long the domain of beer ads and commercials starring Peyton Manning, the games are suddenly blitzed by promotions for daily fantasy sports leagues. Boston-based DraftKings Inc. has aired more television ads over the past month than any other brand — more than 25,000 nationwide, according to the ad tracker iSpot.tv Inc. DraftKings’ chief rival, FanDuel Inc. of New York, ranks 12th, with more than 10,000. Daily fantasy (a slight misnomer, since some contests span five days) has been a fast-growing business for several years and is familiar to sports fans who put money on the line for a chance to win millions by trying to predict which combination of real players from different clubs will perform best in upcoming games. But recent marketing has elevated the two leading sites from the realm of statistical nerdom to mainstream visibility on par with some of the biggest companies in America. During the seven-day period that began with the NFL’s season opener between the Patriots and Pittsburgh Steelers, DraftKings and FanDuel combined to spend $26.1 million on TV ads, iSpot estimates, placing each among the top eight US advertisers, along with Verizon, Warner Bros., and Geico. The ads certainly got noticed — and not always for the better. “This is a new industry. 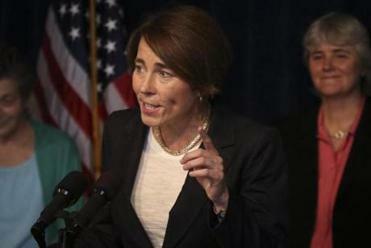 It’s something that we’re reviewing, and we’ll learn more about it,” Attorney General Maura Healey said. Fantasy leagues now claim 56.8 million users in North America, according to the Fantasy Sports Trade Association. Days later, Massachusetts Attorney General Maura Healey said she was conducting a review of fantasy sports, though a spokesman said he could not say if ads spurred the action. In a handful of states with strict laws, DraftKings and FanDuel prohibit residents from entering contests. But both operate in a majority of states. Many professional leagues and teams — historically averse to gambling — have bought the argument that fantasy is different and have either invested in DraftKings and FanDuel or signed sponsorship agreements. Kraft Group is a Draft-Kings backer, and the Patriots this season christened the DraftKings Fantasy Sports Zone, an outdoor bar on Gillette Stadium’s main concourse. Similar bars also opened in Dallas and Kansas City; meanwhile, FanDuel billboards have gotten TV exposure at stadiums in Chicago and Charlotte. Don’t expect marketing budgets to bust soon. FanDuel got a $275 million investment in July, led by KKR & Co., Google Capital, and Time Warner Investments. Two weeks later, DraftKings raised a $300 million round led by Fox Sports. Robins reported that on the day of the Patriots-Steelers game, Sept. 10, and on the first Sunday of the season, Sept. 13, his company hit an ambitious target: acquiring 10 times more new customers than on the same two days last year. He declined to provide actual figures. A FanDuel spokeswoman did not comment. While traditional fantasy football leagues stop accepting entries once the season starts — requiring contestants to draft an imaginary team of real NFL players and manage the roster all fall — DraftKings and FanDuel hold drafts every week. The companies, which also run daily contests for other sports, including baseball and golf, can pick up customers all season. In true Boston vs. New York fashion, DraftKings and FanDuel can keep the rivalry going, blasting the airwaves with one commercial after another, for many weeks to come.